As the founder of a prestigious law firm in Dallas, renown tax lawyer and author Nick Nemeth provides readers with important information. Dallas, TX –August 14, 2014,- Well known IRS lawyer and founding partner who started the prestigious Law Office of Nick Nemeth, PLLC, a law firm that specializes in tax law, Nick Nemeth has posted a blog post on his online website that discusses IRS tax disputes and controversies. 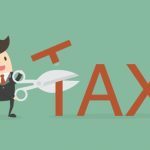 This post is under the title “Enough Already…Put Your IRS Tax Controversy Behind You!” and it encourages taxpayers to do something rather than being passive. 1) There are settlement programs available at the IRS that can help taxpayers save money. Anyone who owes the IRS a large tax bill will probably be in a panic at this point, overwhelmed and under informed when it comes to your rights and options. You may not know how you will scrape together the full amount that the IRS claims you owe but there is good news, you may not have to. At times it is possible to settle any tax debt that you owe for lower than the full amount involved. 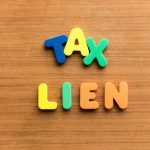 An experienced tax lawyer can explain your settlement options and help you determine if you qualify for one of these programs. 2) Waiting will only make your situation with the IRS worse. Nobody wants to be involved in a dispute with the IRS, one of the most feared agencies of the government, and it is a natural reaction to want to ignore this problem or put off dealing with it in the hopes that the IRS will forget about you or the problem will just go away. This is not going to happen, the IRS will continue to hound you and make your life very miserable. 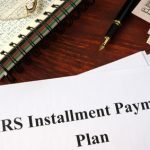 The longer you delay dealing with the IRS the more you will end up paying in fines and penalties, so take action as soon as you find out about the tax dispute. 3) If you do not have a qualified tax lawyer representing you then you can count on the IRS to take advantage due to your ignorance of the tax laws and code. The IRS is a government agency, and as such there are regulations in place and rules that agents may follow so that the rights of taxpayers are protected. 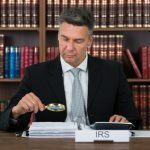 If you do not have an experienced attorney to represent you then the IRS will not always stay within their boundaries in the hopes of pressuring you to comply with their demands. 4) Document, document, document! When it comes to the IRS it is important to be able to document every aspect of your tax information, deductions, expenses, and other factors. If you do not have these supporting records the IRS will not just trust you or take your word for it. As an experienced tax attorney and successful writer, Nick Nemeth has the knowledge and training needed to take on the IRS and win. He has been working in tax law for over 15 years in both Dallas, Texas, and the surrounding communities. Nick is a tireless advocate for taxpayers and will work hard to defend taxpayers in IRS controversies.